A UFO is an Unidentified Flying Object. That wasn't hard. Since the introduction of the internet almost everyone knows these days what a UFO is. 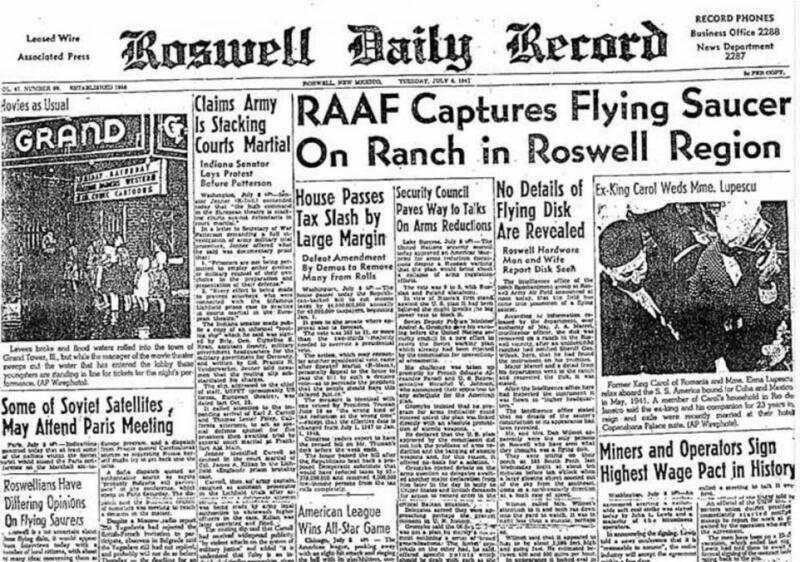 The Roswell Incident at July 8, 1947 is probably the most famous UFO incident. 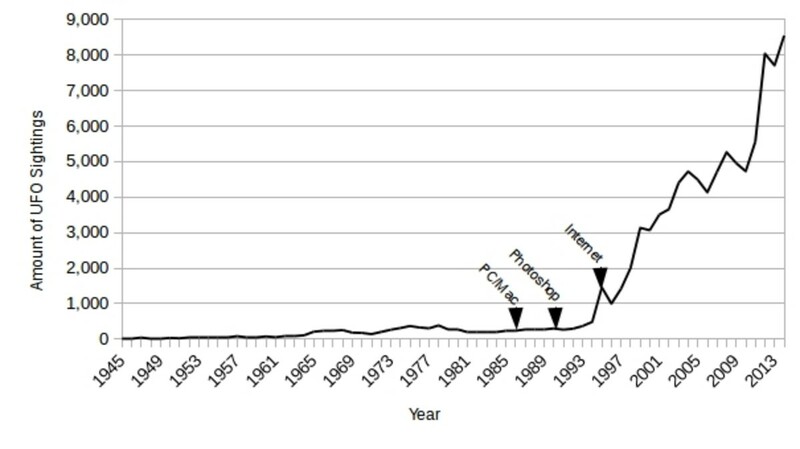 After the Roswell incident the attention on UFOs started to grow slowly, as you can see in the graph beneath. Why hasn't anyone made a proper video of a UFO? Everyone has the ability these days, but all video's remain poorly constructed stuff of mentally retarded minds. Was Roswell something significant? Not sure. There's still no real evidence for it, except some weird movies of autopsy on a doll-like figure that looks like an alien. That's still no proof. What kind of proof is necessary then? An authentic video of a flying saucer that lands, aliens stepping out, and so on. Catch this event, and you'll be world famous. Despite this, no one has yet been able. Why not? Have UFOs to do With Faith? Most deeply religious people lack the ability to reason. Faith is all you need regarding these people. They see burning bushes. They see blood coming from the eyes of Saint Mary, or blood dripping from the wounds of Jesus. Doubting or arguing about what they really saw will only make them angry. They have faith, which gives them the ability to see things that the faithless can't see. Faith is the greatest deluder. 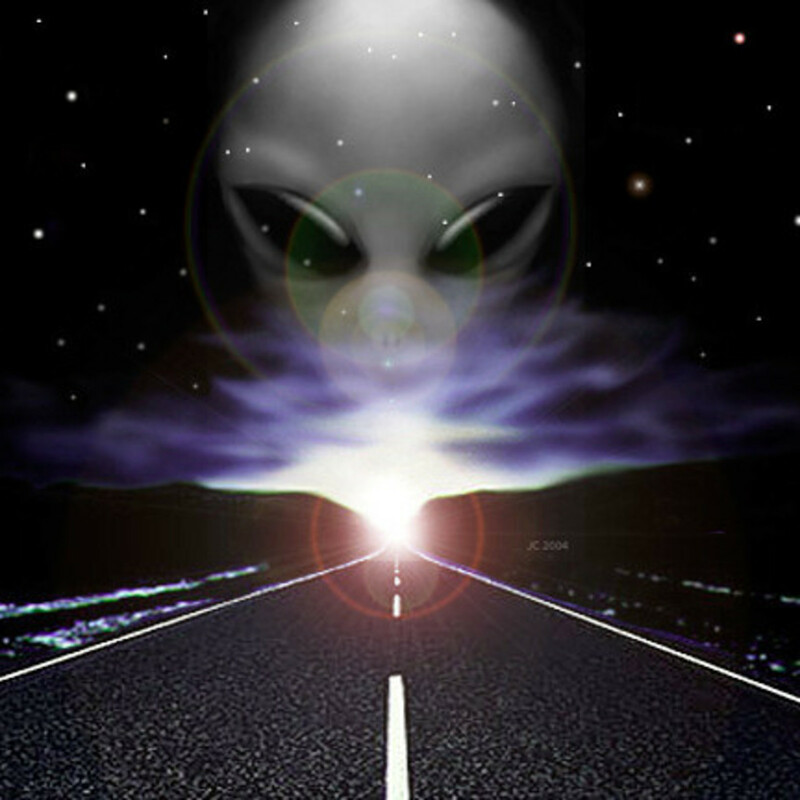 People who believe in UFOs are often irrational and also lack the ability to reason as well. They fell from one religion into the other. You can often not argue with them about what they really saw. They will get angry if you ask questions that puts them on a track of thinking. Why would an advanced alien race fly around in spaceships on earth? And if so, why would you even be able to see them? Why wouldn't any advanced technology have the ability to be fully invisible for the fallible human eye? Why would an advanced race abduct some dirt farmer? Why not one of the brightest minds on earth like Einstein, Leibniz, Hirata or Tao? There is not sufficient reason for advanced alien races to do any of such things. UFO believers project on aliens what they would do in the same situation, and that shows their consciousness is still in an animalistic stage. Pure reason and faith are at opposite ends of the spectrum. Allegedly abducted people suffer from a serious mental illness. Two men sit silently in the train, opposite to eachother. Let's call them David Icke and Alex Jones. After fifteen minutes David stands up, turns down the window, rips open a bag of powder and ritually strews it off the moving train, while mumbling some words. He closes the window, and sits down again. Alex had been watching the act of David curiously, but did not dare to ask anything. Asking why he did this seemed a bit impertinent, because it almost seemed something sacred. After fifteen minutes David repeated the same ritual. Alex had difficulties to keep his curiosity under control, but still didn't dare to ask questions. David: "It's a very special powder against Tigers." Alex: "But here are no Tigers." David: "You see, this proves that the powder works." Alex: "Hm, amazing, you are right!" The moral of this story is that most people are unable to reason properly, and explain things with aliens and UFOs. They so desperately want to see aliens that everything seems to be allowed, by manipulating photo's, or by giving false witness reports. These sighting reports are actually useless. Unreason is the gospel of fun. It's about jokes and stories. About Mythos. Logos is about the truth, but it's not funny. Ignorant people don't want to know the Truth, they only want to have fun. But who start to believe in jokes is running towards psychoses. Comparison of the two maps shows a very clear relation. In the most religious states are much less UFO sightings, and in the states with a lower religious attendance there are the most UFO sightings. What does this tell us? That people who lost their faith, replace it with another kind of faith. The wish, the hope, to see UFOs and aliens. Another kind of Gods. Another way to see blood dripping from the eyes of Santa Maria. People of faith are irrational. There's no way to argue with them with pure reason. Even their sensorial perception is unreliable. 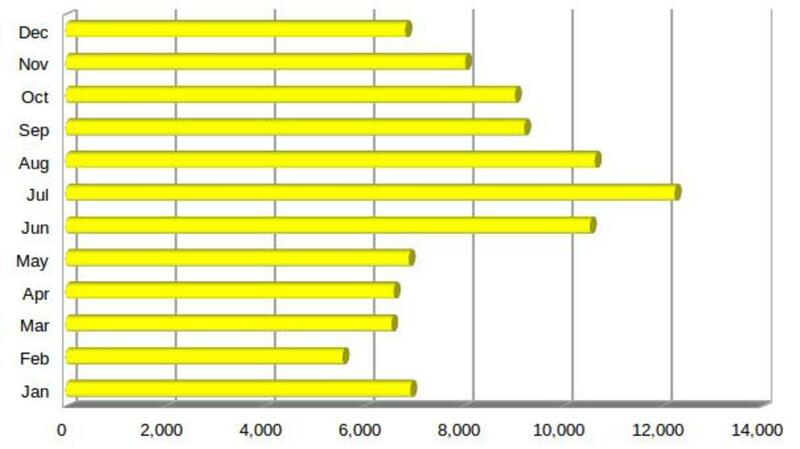 The amount of reported UFO sightings between 1945 and 2014. It is clear that most (if not all) sightings are delusions. This Avro VZ-9AV was able to fly fast and slow. 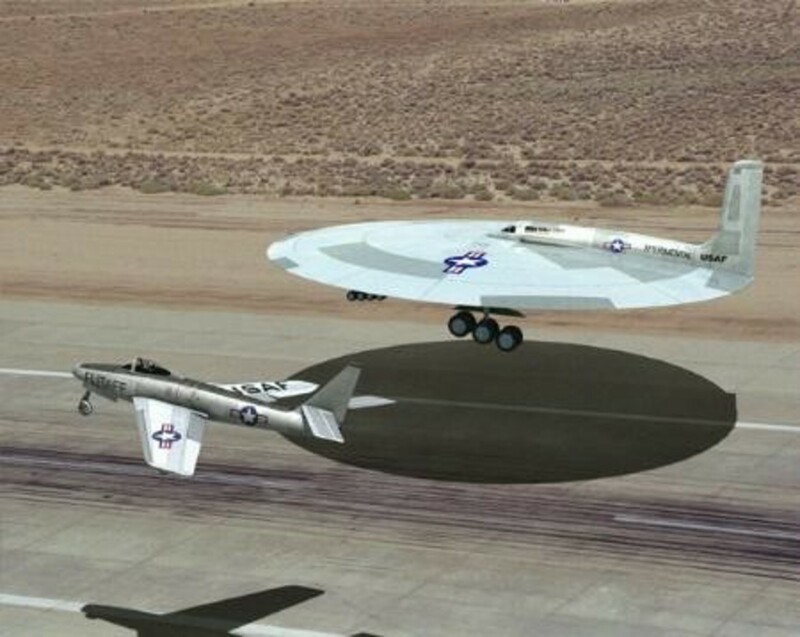 The UFO looking aircraft was introduced around 1960. This resulted into reported UFO sightings. The amount of reported UFO sightings started to explode after the introduction of the PC and internet. The results between sightings (the alleged UFO photo's) and the development of technology is as clear as daylight. It is clear that people start to see things that are simply not there. 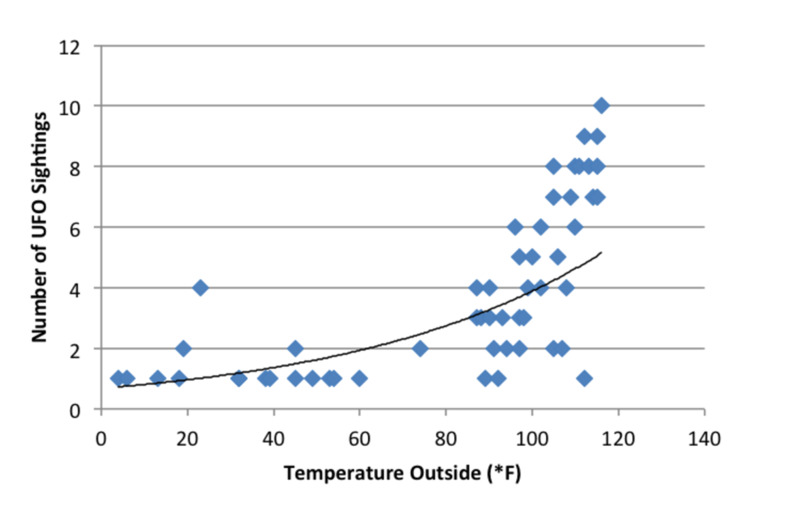 99.9% of all observations are not interesting, and the remaining 0.1% is unverifiable and not documented in any way. The amount of UFO sightings are clearly related to the weather. During the months June, July, and August the amount of sightings significantly jump up. It doesn't seem to be uncommon, because people tend to be more outside. During the colder seasons there appear to be many 'flying saucer gazers', since the number of reports aren't proportional to the percentage of people outdoors. Yes, even our own world is teeming of life. Everything is alive, although most people aren't aware of it. Everything is conscious up to a certain level. The whole Universe is alive. Every single piece of it. Every atom. You don't have to look to the sky to look for life, you're standing on it. Most of us won't even recognize it. If you believe that the Earth is NOT a living being, you have even failed to recognize the lifeform you're sitting on. How much chance you have to ever observe an alien lifeform? Zilch. The Sun is alive as well as the Moon. They are phenomenal expressions of very BIG Souls. The whole galaxy is alive, the whole universe is alive. Consciousness = life. 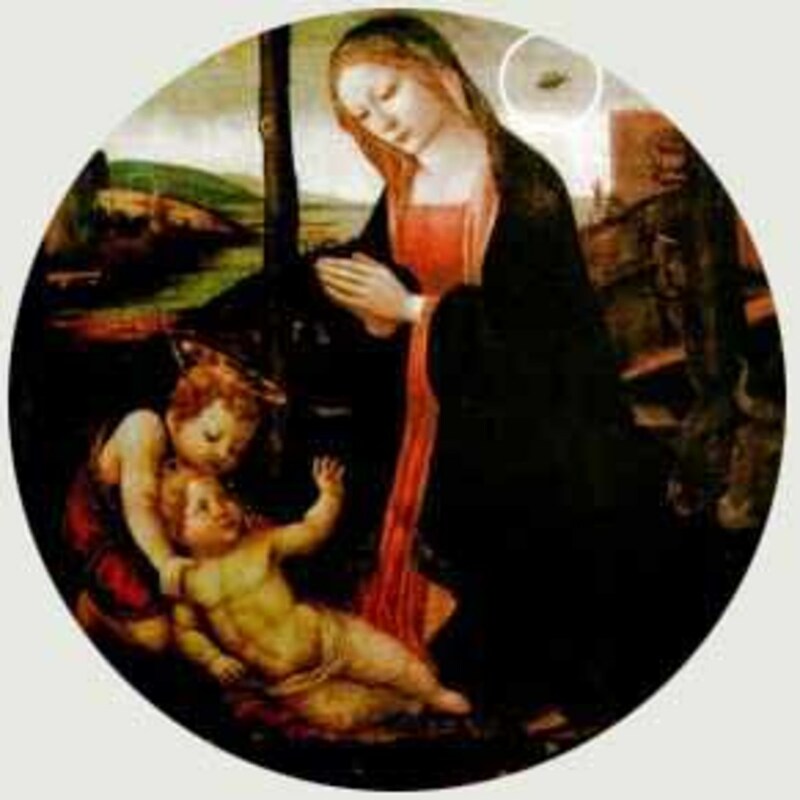 UFO believers think that aliens would fly around in things like we do, but than technological extrapolated into a flying saucer, softly zooming and with all kinds of lights around it. That's again projection. That has nothing to do with pure scientific thinking. Why would they build something that we can see? Their sensory organs might be totally different than ours, which would have consequences in the way things are subjectively perceived. How many people regard an atom to be life? Very few. Is an atom dead? No, it's alive, how could a whole bunch of dead things suddenly become alive? If you believe that atoms are dead and you are alive, you are still an irrational species, and unable to understand nor recognize what life is. That also counts for alien lifeforms. Life infinitely expresses itself in endless kinds of forms, shapes and sizes. Some are like us, some are completely unrecognisable to us. Even our planet is teeming with alien lifeforms, without us being aware of it. You don't have to catch it on camera, you only need to open your consciousness to spot it everywhere. Agree, Dark Mysteries. Well spoken, thanks for the comment! The ufo subject is filled with hoaxes, frauds, and of course miss-identification. But saying that, there are still many cases that defy explanation. Now, that does not mean Aliens, as ufo means unidentified flying object. You just have to look at military sightings alone to come to the conclusion that something odd is flying in out airspace. When you have pilot sightings, confirmed on the ground, and on radar, then you simply can not ignore that. As for a scientific approach, or critical thinking, you just have to look at past cases and the ridiculous explanations given by certain skeptics. Klass, a very famous and very bad skeptic is a good example that these people are using there beliefs just as much as believers. These people, be it arragonce or ignorance, find it hard to leave something as unexplained, and that is why we get these stupid explanations. Saying that, we do need skeptics, but we also need skeptics who are not afraid to say a certain case has no explanation without being ridiculed. Thank you for your comment, Anita. Much appreciated. Thanks for a super hub. I agree most sightings are most probably untrue, however I like to keep an open mind. Very unlikely that we are the only life in the universe. Many years ago, I attained perfect harmony when I studied higher matemathics (dynamic equations of the second order, not second grade equations). Once. In church, I found the same peace several times. Swedenborg is difficult to understand. You must find your own way. Nobody needs to think as I do. What we learn in this life is like a symphony, contributions by many and we are many. We are in this together. All the best. I agree that Swedenborg is hard work. I already read (scanned) parts of his work. But I am not sure I will ever be able to agree with his ideas. What I know for sure is that the universe is purely mathematical. I am for a great deal formed by the ideas of the Pythagorean Illuminati. There's hardly any place for believe and faith in these ideas like Swedenborg suggests. I'm currently writing my book about the earth crust shifts and how this affected ancient civilizations. I have not much time for serious study of other's works. My e-mail address is buildreps@gmail.com. No obligations. Thanks for your commitment. You surely have the analytical skills, but be prepared for an interesting and long journey. As an academician, I had to work very hard when reading Swedenborg. His explanation of spiritual correspondencies had me fascinated. Swedenborgs Biblical references are essential for his credibility and need to be checked up. Without them, I would not have accepted his ideas of life on other planets. I started with Apocalypsis Revelata (the Book of Revelation explained) and slowly went through a spiritual revolution. I had to reevaluate much of what I thought I knew and I understood that I am a very small person with no guaranteed passport to Heaven. One advice. Only read what he wanted to publish. Other texts should be avoided. He never published his diary and some letters and there is a good reason for that. Do not start with these. Schauberger was not a typical mysticist, but he understood nature in a way that still inspires inventions. One in this new century and in my country, but that is hushed up. Some see Lorber and Swedenborg as spiritual twins, though they are very different. Both are almost forgotten, but may come back. I am not sure, but I think I had to give you my email adress before I posted. I am not an expert, but you are free to ask questions. There is a US Swedenborglist that can guide you further. You are on a good quest and you will find Swedenborg understood other religions. Thanks again for your comment, Scandinavian. I agree with you and Swedenborg that life is everywhere, although we're not able to recognize it as such. I'm familiar with the works of Boehme, Tesla and Steiner, but not that Lorber and Schauberger. I have found "Heaven and Hell" of Swedenborg, and I will start to read it soon. I'm looking forward to your explanations. Thanks. Swedenborg started as a scientist and made inventions. Unusually, he applied his analytical skills to the Bible and the result was astonishing. I am not aware of anyone else who did the same. Lorber in Austria, I read him in German, is also interesting, but he is of a different kind. Boehme, Tesla, Steiner and Schauberger are interesting centraleuropean voices misunderstood in our time. We should not forget mysticism. Worlds in the Universe, Earths in the solar system, planets in the solar system, something like that Swedenborgs book about life on other planets is called in English (he wrote in latin). I do not have the last word on ufos and life on other planets. After having checked Swedenborgs many Bibilical references, I am inclined to believe him when he says life is everywhere. We do not see it, we see inhospitable heavenly bodies, but there might be an explanation for that. I only have a theory, but I am not ready to share it. Interesting view on UFOs, Scandinavian. I'd never heard of Swedenborg before. That tells probably more about me than about him. :) An interesting mystic and scientist. Thanks for the great comment. I do not want to offend anyone. I have studied ufos and it took a long time for me to form an opinion. With fascination, my father and I studied a satellite, probably Russian, in the 60s when I was a young child. What happened in Washington in 1952 and in Mexico city in 1992 (forty years later) did happen as I understand it. I saw the Mexican ufos on TV, but not everybody could do that in other countries. They revolved slowly and reminded me of flying saucers. They had an interesting unbalance, which may be the key to the technology. Like in the Bessler wheel. Cigars were reported in the 1950s when some countries had airships. 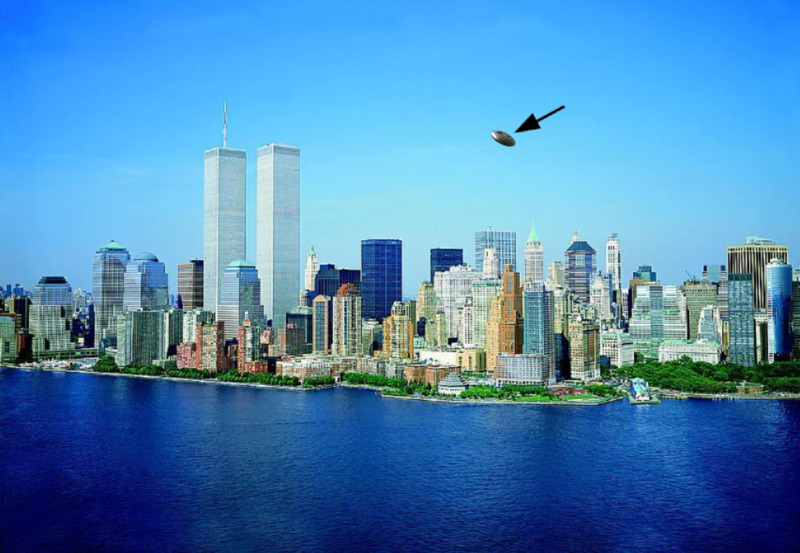 Triangular ufos were reported when the US invented triangular airplanes. The question is where do real ufos come from? I think they come from earth. According to an old report from northern Scandinavia, the visitors spoke an earthly language. Emanuel Swedenborg wrote long volumes about the Bible in the 18th century and, against advice, reported on other planets. I spent many months reading him and checking the Biblical references. There is life everywhere, according to him, but technology is very rare in the Universe. Men on other worlds live more like in the garden of Eden. Those, who like us, must fight many dangers, develope technology for good and for bad. That does not mean we are advanced, it means we are in trouble. Living on a planet of sorrows. :) Complex problems from a too complicated mind. :) Yes, perhaps we should focus somewhere else first, mainly inside. Thanks. Thanks for your insightful comment, Ilona. We are not alone, that's for sure. But why aren't we able to capture a really great show? All the people on earth have the ability to film with their phones and publish it then on Youtube. Still, why so less interesting video's? Maybe, if we can't recognize our own planet as a living being, how do we think to recognize alien life then? Wouldn't this our main problem? Ignorance? What do you think about the medieval paintings showing people flying in the air in some kind of 'machineries'? No tech thet time. Also in my country a psychologist examined people who claimed they were kidnapped by UFOs. She stated the a lot of them had some kind of psychological problems and their 'experiences' were only imagination... but she said there were some cases where she could not say it was just imagination. Many people experienced unexplainable events in their lives. I've had many of these experiences as well, but I believe we have to seek the source of it firstly in ourselves. It is possible that what you've seen is real. It's also possible that it was an illusion. It's seems impossible to know for sure. We are not alone though, that's something you can be sure of. But if that makes us able to detect it through our senses is again another uncertainty. Thanks very much for your comment and sharing your own experiences. Quote: "Yes, even our own world is teeming of life. Everything is alive, although most people aren't aware of it. Everything is conscious up to a certain level. The whole Universe is alive. Every single piece of it. Every atom. You don't have to look to the sky to look for life, you're standing on it. Most of us don't even recognize it." I like that. I very much enjoyed the article as well. My concern is that when one experiences something beyond one's own ken, and beyond most others that one knows in one's circle of family and friends, what does one do with that? How does one fit the experience into the tapestry of one's own life and perceptions of that life? I've had three experiences with what I now refer to as ofu's (it was an object, it was flying, I couldn't identify it) over the last six years and these were not open to atmospheric anomalies, but were impossibly clear. I don't have any stories attached to them or any theories, but I do know that I was witness to something extraordinary. It disturbs me in the sense that it makes me question the functioning of my own mind...of which I seem to be in full faculty. And I can't seem to find any resource that doesn't involve a fantasia story or some bizarre, unsupported theory to account for these experiences. And so I just simply go on living day to day and now and again wonder about them. I don't "believe", as it were, but I wonder at the significance or if, for a moment, there was some shift in consciousness that opens up the ability to observe something one might ordinarily not see. I don't know. Thanks for your visit, Nell. There's indeed so much fun in all these tricks, and history is full of swindlers. I don't believe in UFO too, not anymore that is. Nell Rose' comment reminded me that the great Sir Arthur Conan Doyle, of Sherlock Holmes fame, believed in fairies. I don't think any less of him because of it either. Just because some photos of fairies appear to be obvious fakes, doesn't mean that they do not exist. It is the same with Big Foot and UFO's; there are bound to be hoaxers, that doesn't mean you throw the baby out with the bath water (you look for other, possibly contradictory evidence that may exist that is factual). I believe that all the above is possible because, although it has not been proven that they do exist, it has not been proven that they do not exist either. And just because you believe something is possible doesn't mean you believe in the absolute reality of what it might represent. Actually, the serious sightings, looking at it from an average perspective over the last few years, would probably amount to more like 10% unusual sightings that can't be explained in a conventional fashion. I have done research off and on on this topic (not presently however) and have found legitimate looking periods in time and space when more strange, yet creditably reported phenomena occurs. Unfortunately, researchers concentrate on such things as peak periods around the 4th of July, when common sense would rule that the sightings were mostly a result of sophisticated pyrotechnics. Since more people are outdoors then than on a typical night, you end up with twenty times the witnesses (perhaps more) than you would otherwise have. The sightings then become over inflated in numbers, drowning out most of the significance from the data You might find that 1% figure would be accurate on a day like that in the US of A, when quality of any given sighting is sacrificed in the name of quantity of noise or distraction. It is a similar story when it comes to photographs of UFOs. 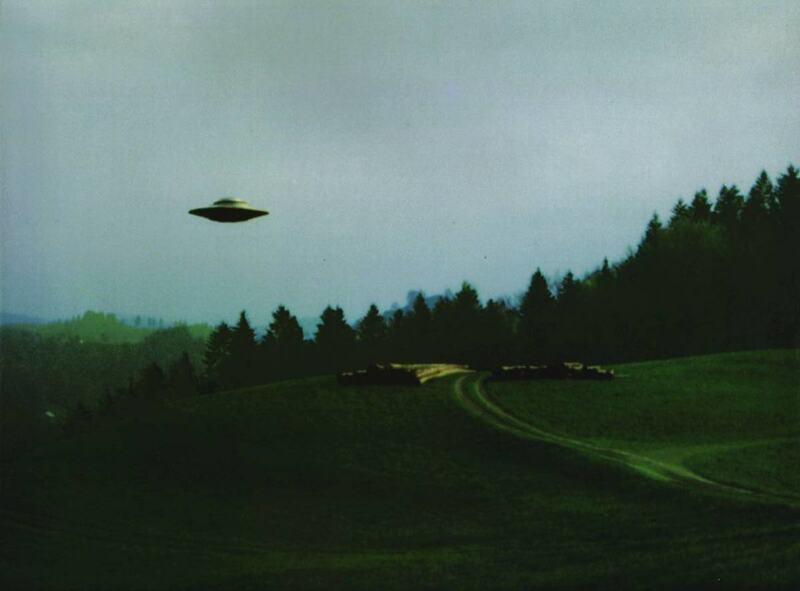 If you want beautiful pictures of UFOs (flying saucers especially), check out the Billy Meier photographs. But, if anything is an example of something that is “too good to be true”, that would be it. Most UFO pictures are junk. And anything (almost) that looks better than that.. is probably fake. Unfortunately, all of this noise will distract from the possible real core evidence taken photographically. There were pictures taken off the coast of Brazil near the Trinidad Islands back on January 16, 1958. There was a set of two pictures taken of a mysterious object in the sky over McMinnville, Oregon, again back on May 11, 1950. Another good photograph was taken from near the east coast of Vancouver Island in southwestern Canada in mid October 1981. Those historical images, as I said, are worth checking out but these days, since photographic images can be modified digitally so easily, you don't know the real thing from a fake. So I don't waste my time with the latest photographs of UFOs. It's great to see how much knowledge you have about many things, Joseph. There's still 1% serious sightings left, and that are a few dozen sightings left worth looking into. That's quite a lot I think. But the question that remains: why haven't we never seen a great picture of a UFO? Thanks for your comments, Deb. 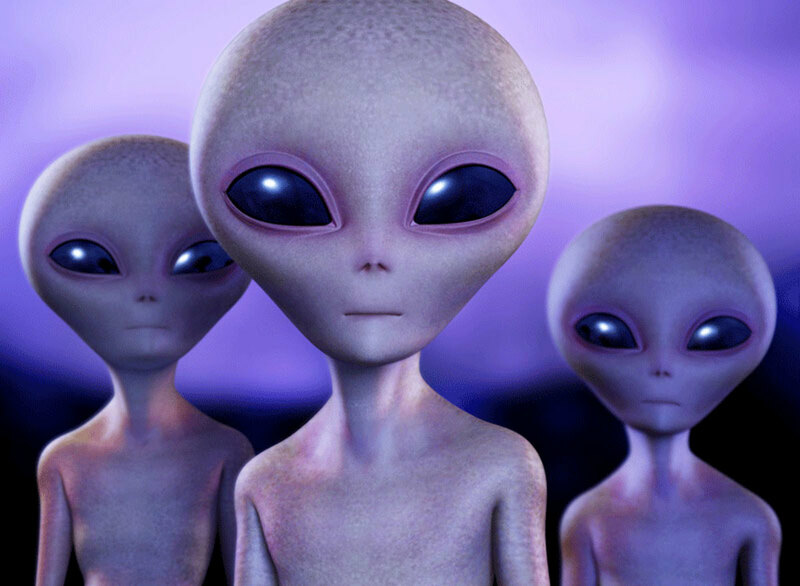 It's for sure we are not alone in the Universe, but that doesn't mean that they are flying around in flying saucers. But about 7 billion people, all having some kind of smart phone with photo camera's on them are unable to make even one great shot. That's when everyone should ask themselves: why did no one make a good picture? Because there aren't any. It's the same thing as with the monster of Loch Ness. It isn't there. But so many people like to believe so much it's still there, that they keep on looking. It has become a kind of religion. I wish to contradict Buildreps when he says that 99% of all flying saucer sightings are fantasy. That was not true during the summer of 1952 in the United States when the Air Force's Project Blue Book found the "Unknown" classified sightings rose to 22% during what they called a "flap" of increased UFO activity (several times more than usual). In other words, you may be right for the present time, but if you look back historically, as Jacques Vallee and Chris Aubeck did in their book "Wonders in the Sky: Unexplained Aerial Objects from Antiquity to Modern Times", you may decide that this wasn't always the case. I also recommend reading Edward J. Ruppelt, former head of the US Air Force Project Blue Book, who wrote the book "The Report on Unidentified Flying Objects" (published in 1956). But get the first edition; as I understand it, he backed off in the later paper back edition. I cannot imagine that we're the only occupied planet or solar system. After all, we got here somehow, and that's all I'm going to say. Great story. Thanks for your visit and your kind comment, ChitrangadaSharan. That about 99% of all flying saucer sightings are fantasy is for sure. Whether the UFOs are real or a fantasy is not clear but your article is definitely very interesting. The idea that UFOs exist is fascinating and we have seen so many convincing movies made on this subject. A very insightful and thought provoking hub and very well presented. Nice pictures too. Thank you for your comment, ematthowerton. I can agree with you up to a certain extend. God is Alpha and Omega, that's for sure. Interesting light on the subject of UFOs. I have always been fascinated with the thought of the possibility of life forms in other galaxies. If there is a such thing as other life forms in other galaxies, this could only prove more of the existence of our Creator. I am certain if there are other beings in another galaxy, they would have the same Creator. My perspective is I believe my God created man, God created the Earth and it's contents in one week. That is pretty impressive to me. If he is capable of such, I would not refute the notion that he created similar life in other galaxies. He is the Alpha and the Omega, He is infinite and His powers are limitless. I will end by quoting a famous tagline from TV show in parallel, "I want to believe". You're probably right, Peachy. Most UFO video's are full of advertisements and have lots of views. It's clear that they're in for the money, and not the truth. Thanks for your contribution. You are true Buildreps, take care. You're certainly open minded, Alicia. I wish everyone was as open minded as you (and as many other fellow Hubbers as well). If everyone was like this earth would be a paradise. Your comments and insights are highly appreciated. Thanks! Thanks m abdullah javed for your hymn of praise. I'm not claiming to be right, at least I'm not trying to do so. One thing I'm sure of , we are all immortal souls. Thanks for your comment, Larry. It's nice to see you around. Your definition of UFOs is correct, and you're right that it's highly unlikely we are alone in the Universe. I think it's even impossible. That said, I ever hope to see a real awesome authentic UFO video. This is a very interesting and thought provoking article, Buildreps. You've made some strong statements but have raised some great points and included some informative data. I try to keep my mind open to all ideas, including the existence of UFOs, the belief that the Earth is a living thing and the idea that atoms are conscious to some extent. It certainly makes life interesting! Your scholarly hubs fascinate Buildreps, thanks for sharing a wonderful piece regarding the UFOs....I think the subject still creates curiosity among us. There is a never say die spirit to explore the possibility of existence of life on other planets. One or the other day we hear about a discovery or a new invention that in turn adds still more passion to our curious minds. Well Buildreps, we expect from people like you to delve with these subjects from other than Lunatic Perspectives, and your conclusion with a description of an immortal nature of atoms keeps our hopes alive. I will say this, given the expanse of the universe, it is highly unlikely we are alone. As always are your comments highly appreciated, retrojoe. When I was still a boy, I studied a lot on UFOs, and I know there's much more to it than I now wrote. But the subject of UFOs and aliens became a typical area of nutters and madmen, and the subject is totally spoiled. Unfortunately. I agree with you there are still very interesting cases to study, but I turned my back on this subject, because of all the fools. I don't want to belong to this group. Thanks for your insights! Thanks for dropping by, Readmikenow. I agree with you that the subject will never go away. The only thing I hope is that the nutters will go away. It will leave the interesting cases to be studied again. Thanks buildreps for taking on a controversial subject as in the mystery of Unexplained Aerial Objects (also known as UFOs). Unfortunately what you chose to take on is the lunatic fringe and not really the serious study of the subject. What you review is the very reason many serious researchers retired from the field of Ufology, such as Jacques Vallee. He and J. Allen Hynek (once a skeptic and scientific expert for the Air Force's Project Blue Book) found that many cases that are unbelievable at first become more likely when such things as multiple credible witnesses, mechanical or electrical disruption, or physical traces that are left behind are part of the evidence to take into consideration. I of course studied the subject for many years, partly because I had witnessed a few flying objects that were peculiar, that I was puzzled about, not knowing how to identify them as normal. I was not a believer before I witnessed them. I didn't have faith that I would witness one some day. I am not one of the many followers of conspiracy theorists who feel that the aliens are here all the time in secret underground bases. It is my view that they appear mostly during times when there is a bigger crack in the cosmic egg than is usual. I was just flabbergasted and wanted to learn more so I could explain what I saw. I witnessed them during UFO flaps or waves of activity; times when sightings were significantly greater than usual. It was found as far back as 1952, during a dramatic wave in the U.S., by then director of the Air Force's Blue Book project, although many then believed that as UFO reports increased the overall reliability of the reports would decrease, that the opposite was in fact true. The quote from Carl Sagan appears to be one that reflected his view after becoming disillusioned with the subject (he was very interested in the topic for many years). It is also partly false. The stranger the report does not necessarily indicate that it is ludicrous. Most reports are just mis-identifications of distant conventional objects, have few details, and can be dismissed. The stranger and nearer the experience though, the more likely one should look into it. As for photographic or video evidence. In my experience, I would usually pass over such a report as a waste of time when I was actively researching. Forgive me if, by just skimming your article, I missed a very different point that you were trying to make. Perhaps you can research the other side of the coin; where you would have to look back in time to get the historical (other than Roswell) perspective on the subject. I recommend looking at the summer of 1952 in the U.S., the fall of 1954 in France, the U.S. 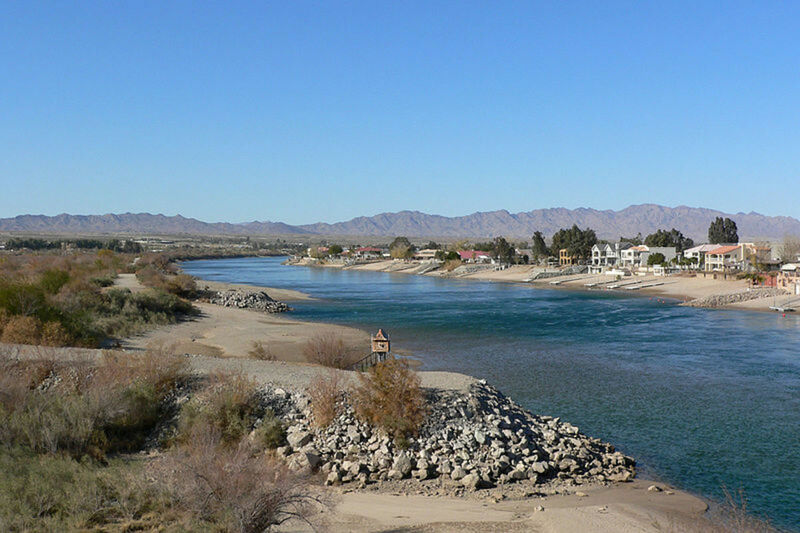 In early November 1957, the years beginning in the fall of 1965 and ending after 1968, October 1973 (the last two periods in the U.S. also), the Belgian UFO sightings of the fall of 1989, etc. I think there is more known about it than we're being told. I'm not worried about it. Even some astronauts have reported seeing UFOs in space. This idea isn't going away any time soon. Thanks for dropping by, Bill. There must be infinite life out there. Maybe we are the most advanced life in the whole Universe, maybe the most retarded forms of life. We still don't know. What I do know is that most 'UFO-experts' are deranged fools. I refuse to close my mind to the possibility of other life forms in the universe. We know so very little despite our desire to be super-intelligent. Nice coverage of this topic, my friend. I like your definition of UFO very much. That's the best definition I’ve ever heard! Thanks. Interesting article Buildreps, though I don't think you should bundle all people of faith as being irrational. As you say those who lose faith in one thing turn to something else. Everyone needs to believe in something..some people worship sport as though it were a God..others believe in things like Big Foot..whatever. I believe 99.9 percent of UFO sightings are fake or mistaken identity and have no idea if there are other beings out there, but it's possible. I like to keep my mind open. My wife is a person who does a lot of craft and in that circle UFO stands for Un-Finished Object..so I guess in that context they do exist. Great article. I've never understood why some people would think that there is another group of people living on these planets with super technology. Like all those "ancient astronauts" nut jobs. It shortchanges the accomplishments of mankind. Voted up.